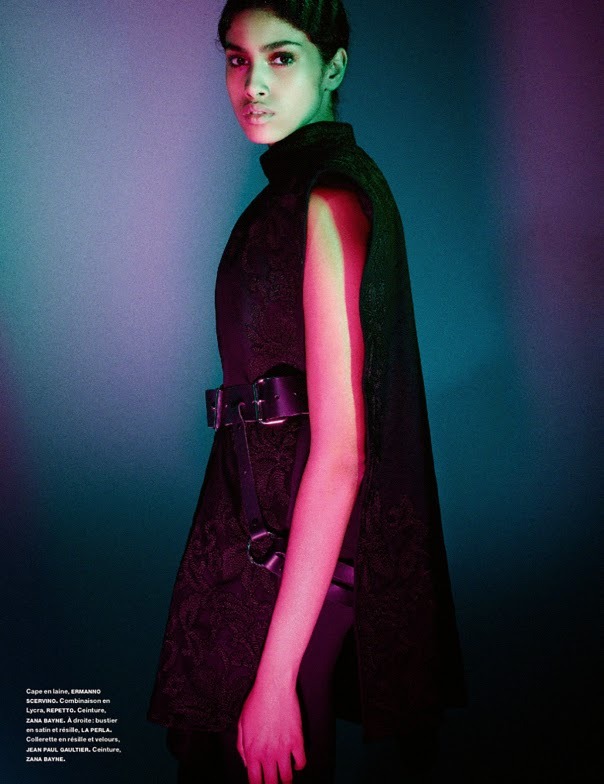 IMA's favourite newcomer Imaan Hammam rings in her 18th Birthday with an only girl editorial for French Numéro. The captivating Egyptian Moroccan birthday girl appears in the stunning series of black & white and colour portraits lensed by Jean Baptiste Mondino and styled by Vanessa Metz. Since being discovered in 2010 by Marit Simons the founder of Code Management while in transit at a Amsterdam Central railway station, Hammam has joined modelling's elite ranks via a rapid succession of blue chip editorial and runway bookings. Hammam was catapulted onto the international runway circuit via a pivotal opening slot at Givenchy's Spring/Summer 2014 show. In the ensuing twelve months, Hammam has been photographed by industry heavyweights Steven Meisel, Mario Testino, Craig McDean, Mikael Jansson, Terry Richardson, Karim Sadli, Angelo Pennetta, Phil Poynter, Mario Sorrenti, Cass Bird, Annie Leibovitz, Mark Borthwick, and Lachlan Bailey while gracing the pages of the Gentlewoman, Document, Love, T Magazine and the American, Italian, and French editions of Vogue. A career-defining appearance on American Vogue's September 2014 group model cover cements Hammam's leap to modelling's major league. Meanwhile at the Spring/Summer 2015 shows, Hammam's turns on the runway for Jason Wu, Altuzarra, Derek Lam, Diane Von Furstenberg, Donna Karan, Marc Jacobs, Jean Paul Gaultier, and Hermès ensure her plenty of reasons to smile as she celebrates her 18th Birthday.